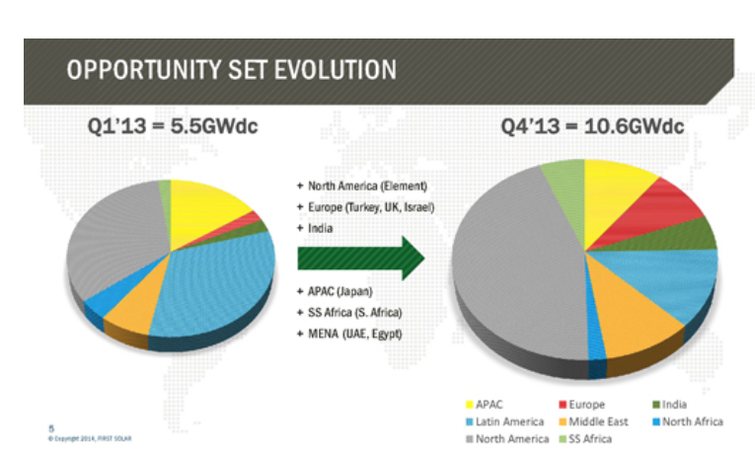 Here's a chart from First Solar 's analyst day presentation, showing how in the span of four quarters (practically overnight in business land) North America devoured global solar market opportunity share. In other words, North America (gray) is taking an increasing share of a growing pie. Meanwhile, the overall market itself nearly doubled. Also of note: the market opportunity in North Africa is now practically as large as in Asia.